Pacific style at home anywhere, our Ocean range is constructed from pole cane. 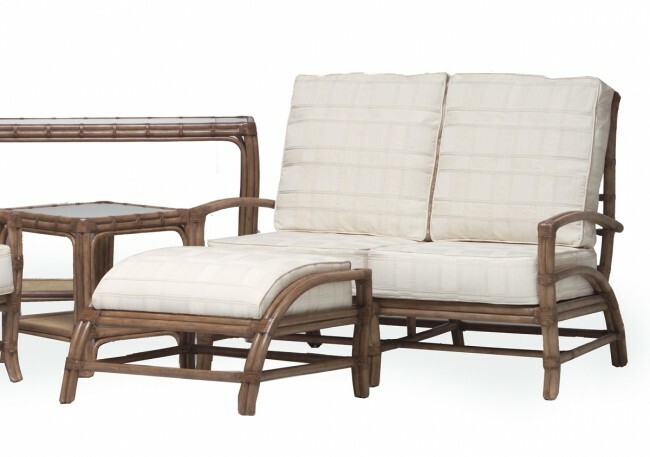 This material is used to great effect to create a suite of stylish furniture that perfectly captures the laid back lifestyle of the tropics and invites you to rest awhile. Unfortunately we do not have the correct image for the 3 seat sofa. The image displayed is the two seat sofa. The three seat sofa is 63cm (139+63=202cm) wider than the product shown. The cushions are split into three. We have footstools, console tables and side tables available at £100 each if required.